Some of you (ok, hopefully most who know me personally) probably know where this post is going to head. For those readers who don't already know, yesterday (Sept 1st) saw me united in matrimony with the man I plan to spend the rest of my life with. As you can imagine there were thrilling moments of excitement as we realized the night before we'd forgotten to purchase flowers, and definite struggles against panic when the pop for the punch turned out to be diet instead of regular. There were also quiet moments of reflection when the auditorium was cleared except for the groom, and the bride was presented to him for a private moment of pre-ceremony solitude. The guests obediently filed quietly in line afterwards to wish the young couple well, and as is often the case there were kind comments of the beauty of the decorations and the taste of the cake (both of which were true and well-deserved to the decorators and cake maker), but what was not seen, at least not by most, was the struggle leading up to it all battling not only the ordinary details that every bride inevitably faces (if she doesn't have the good sense to elope *wink*), but also the challenge of adding fibro to an already difficult and often overwhelming task. Many people get caught up in the flowers, the colours, the decorations, the ribbons, the dresses, shoes, etc. 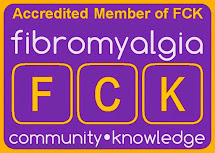 But fibro has a way of making so many of those things seem very unimportant, and to be quite honest, much of it is just that - unimportant. But what I appreciate about the past few months' battle for dominance between wedding and fibro, is that the things that were important about that day, proved their worth, even after all the hassles and stress and tiring details and crunch time. The message of Christ and His church was worth fighting to present with gusto. We had the opportunity to let the beginning of our marriage preach Christ with words, as we hope to continue doing on a daily basis with our actions and attitudes toward each other. It has been a joyful process to look forward to the walk down the aisle, but it has also been a painful one, and fibro has been part of that the whole way. 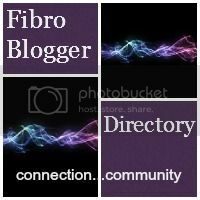 I wouldn't have chosen to have fibro, and many nights I became frustrated at the lack of preparation I could do for the wedding due to exhaustion and pain. But I can look back at the wedding, and the massive amount of help received from all sides, and I can praise God for providing loving family and friends to step in and just do things I didn't have the strength and time to do. I can praise God for how things turned out, because I know without a doubt that it was not possible in my own strength, and finally I can praise God that I am married to the man He has given me and we never have to go through planning a wedding again. :) The End (for now). Katie! I love your post! I'll be praying for your marriage as well. Thanks for your testimony...and I must say...you are a very good writer! =) Keep it up! My wedding day was hard too because I had health issues as well and I didn't completely "enjoy" how I felt at the time, but I know that God helps me to see my struggles and has a reason for it too. God has been helping me see that being selfless (entirely NOT thinking about myself) is impossible without God. =) He is good and the supplier of mercy! Thank goodness! Because I fail! =) Love you! Wish I could've been there on the BIG day!